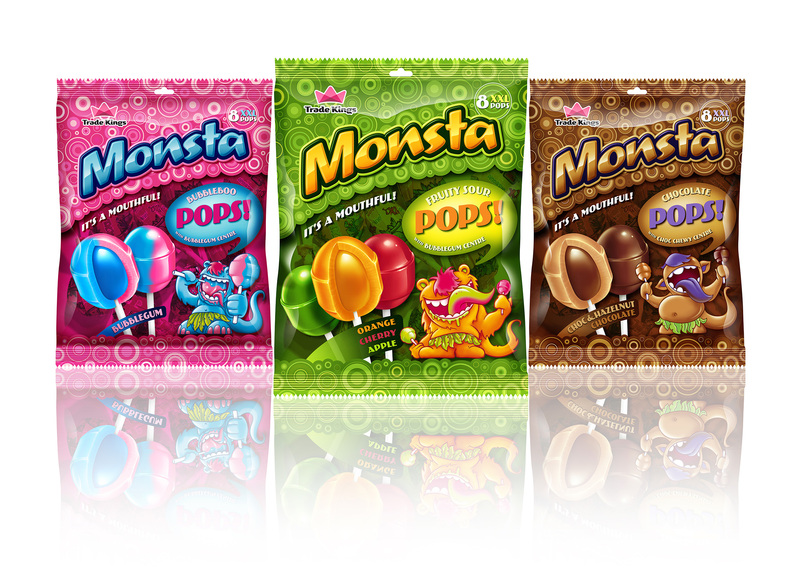 Packaging ideation for Monsta Pops to drive flavour explosion as well as the large size of the product, to drive sales and make the packaging exciting for kids. The eyes should not be visible. The characters were illustrated with hair covering the eyes.